· We are working on some great new beers that we will be releasing over the next few months. Here are a couple of them coming up. · End of February: Big Hoppa' Notorious IPA. · We are going big with this one. It will be over 10% ABV. · We will be using local honey from Hunter's Honey Farm in Martinsville, IN to make this great new beer. · Looking for Thr3e Wise Men in your area. 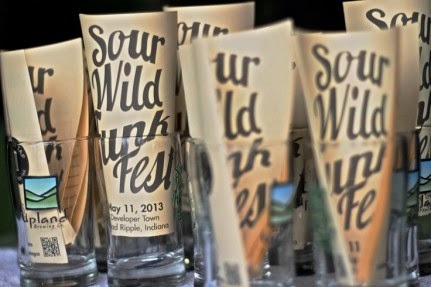 Our beer is being poured all over the State of Indiana by very great restaurants & bars. Check out our full list of locations on our website. Love is in the air. The much anticipated Bleeding Heart IPA will go on tap tomorrow from 4-7pm. And because we know how much you all love Bleeding Heart, we stamped a little extra love on the release too. Check out some of the fun things we have planned here. Following the Valentine’s Day festivities will be this month’s Reel-to-Reel from 7-9pm. We had a great response this month. You can check the program here. Todd Bracik, who was part of our first Friday installation, will also be in attendance to talk briefly about the Debris in Tree install. Be sure to submit your debris in trees videos at www.debrisinthetree.com for a chance to be featured. It’s not polar bear wrestling, but it is the next best thing, HOCKEY. This Saturday we are opening our doors at 7am for the USA vs Russia match. Three Days in Paris [Moscow] will be here serving up blinis, a Russian style pancake, to help your morning munchies. Worried you might crash? Don’t be. There will be plenty of fun stuff going on to keep you fueled - like a meet and greet with Indy Fuel. For more details on the match of the century click here. · Get it while it’s hot cold. Winter Cycle 4 packs are still on sale. · Heart of the Brews is a week from Friday. Advanced tickets are still on sale until Feb. 19th. · Shamrock Cycles Handmade Bike Gallery will be at the Taproom on March 1st . They are showcasing the best of these handmade bikes as a preview to the North American Handmade Bike Show in Charlotte, NC this year. Thursday, February 20, 6-10pm, Triton Brewing Company is (Tap) Taking-over The Pint in West Lafayette, Indiana! Featuring the Bee Java Brown, Midnight Rail IPA, Three Tine Belgian Tripel, Barrel Aged Sour Alt Lang Syne (2012) and a seasonal single hop IPA! Friday, February 21, 7-10pm, Omni Severin Hotel, 40 W. Jackson Place, join us for the 4th Annual “Heart of the Brews,” an ale tasting event to support research for kids with ailing hearts. Proceeds to benefit research at the Riley Heart Research Center. For more info, www.heartresearch.iupui.edu. Triton Beer Sampling at the Indiana Ice, Saturday, February 22 & Friday, February 28, 6:30-8:30pm, Pan American Plaza, downtown Indianapolis, join Triton’s lovely Ms. Athena for a tasting during the Ice versus Team USA! For more information, contact www.indianaice.com. Triton Tap Takeover (Zionsville), Wednesday, February 26, 6-10pm, Plum’s Upper Room, South Main Street, Zionsville. Join the Chev and the #TritonArmy as we assemble for beer maneuvers in Zionsville. Join us for a great time in your neighborhood! We've had a busy last few weeks at the brewery. We began our transition from 12-ounce bottles to 16-ounce cans last week, and four packs of the cans are available now at the brewery. You'll also start to see them pop up in bars and restaurants across the state in the coming weeks. We'll be announcing can release parties over the next few weeks, so keep your eyes peeled for those announcements. Cutters will also be taking over the taps at Tomlinson Taproom on February 28. We'll be tapping a few new beers, and we'll be announcing them soon. 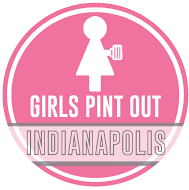 On March 26, Cutters will be hosting a tap takeover at The Sinking Ship in Broad Ripple. We'll be bringing a few new beers to this event as well. On tap at the brewery: Lost River Blonde, Monon Wheat, Half Court IPA, Floyd's Folly Scottish Ale, Empire Imperial Stout, Pentagon Porter, Pumpkin Porter, General Brown's Sour Brown Ale, Rye on the Scarecrow Double Rye IPA. Next week we'll be tapping our new pale ale, and our Belgian Brown Ale will also make it's return to the lineup. Patrick's Kitchen is currently pouring Bloomington Brewing Company's Floyd's Batch 1000 (a Belgian Dark strong), Flat-12s Milk Stout Taxman Brewing's Belgian Blonde, Bell's Hopslam, Daredevil Muse, Bier's Mint Stout, Sun King FFo' Hops, FFF Arctic Panzer Wolf, La Trappe Quad, and BBC's Ruby Bloom amber Ale. Waiting in the wings are FFF Dreadnaught, Bier's DGB, and Bier's Chinookalicious, as well as some other tasty treats. All Scotty's locations will be releasing new beer menus this coming Tuesday February 18th! Some of the new additions you will see are BBC Rooftop IPA, Boulevard 80 Acre Wheat, Founders All Day IPA and Daredevil Lift Off IPA. There are many more so make sure to come in and check it out. With this new menu change all of our stores will now have 4 rotating taps that they will switch on a daily/weekly basis. Some beers we will be highlighting to start off are New Belgium Snapshot, Goose Island Ten Hills Pale Ale and Smuttynose Durty Hoppy Brown. Again there will be many more to come so make sure to stop in and check it out. We are currently pouring: Bloomington Brewing's outstanding Amber called Ruby Bloom, Bell's Hopslam, Bell's Chocolate Cream Stout, Bell's Winter fest, Left Hand Milk Stout, Bier's Mint Stout, Daredevil's fabulous Muse, Sun King's extremely fresh Fist Full of Hops, Bier's excellent Dred Brown, La Trappe's Quadruple, and Kentucky Brewing's Bourbon Barrel Ale. Thank you to all the brewer's who make it possible.